Brake lines made, proportioning valve in...woo!! The picture angle is a bit wonky, looks cross threaded but it’s definitely not. Excuse the dirty engine bay. New proportioning valve in, new lines installed. 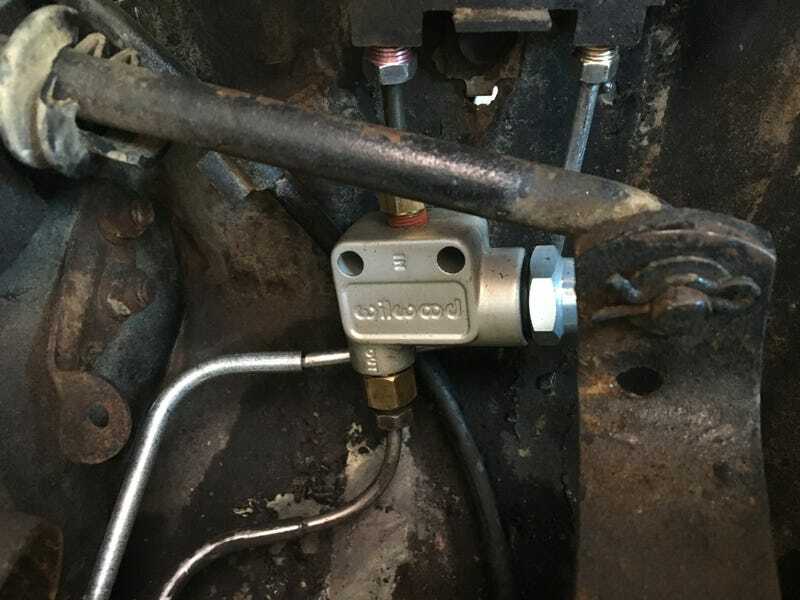 Next step is installing the master cylinder after a bench bleed, then bleeding the brakes. I hope to get the alignment close enough for a test drive and get it aligned next week. Unless something is broken, which isn’t outside the ream of possibility, I should have the Cougar back on the road this weekend with a completely new front end, save for a rebuilt steering box.